The Chamber's Government Affairs Committee meets on a monthly basis to review pending legislation and regulations for their impact on the membership, develop positions that will enhance economic growth, and develop programs that inform and encourage members to participate in the Chamber's government affairs initiatives. The committee periodically invites elected officials, advocacy groups, and other decision makers to participate in the meetings and discuss issues that are important to the local business community. 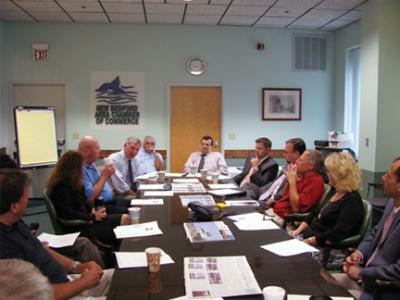 All members of the Chamber are welcome participate in any of the meetings or to join the committee. Please contact the Chamber for more information.